A Weary warrior… After eight years as a Marine sniper, war-scarred Reid Everett is back in his native Wyoming. He knows and loves this rugged land, so working for wildlife services to reduce the booming wolf population suits him to a T.
A Caring crusader… Wildlife biologist Haley Cooper is desperate to make a difference. Leaving the world of academia behind, she accepts a position as a wolf advocate to protect the animals she loves. Raw attraction… Their jobs set them on a collision course, but chemistry sparks like wildfire between Reid and Haley. They’ll have to brave some rough territory if they hope to reconcile their polarizing views with a passion that won’t be denied. A story that goes back and forth between the two main characters who met at a bar outside of San Diego and because he is being deployed they only write each other. Reid Everett is from Wyoming and is a Marine sniper and while he is deployed the letters stop because he is in an area where they are not allowed to write or make any type of contact with home. Haley Cooper takes this as he has moved on and now so has she. When he comes back to her grandparents’ home he finds out that she is going to a different college and studying something different as well. It takes a while but he tracks her down through a friend and talks to her but over the weekend when she has a bad experience on a ride at Disneyland she bails and does not tell him anything. A few years goes and they run into each once again she is still working for a wildlife program in studying wolfs and is also on again off again dating her one time professor. 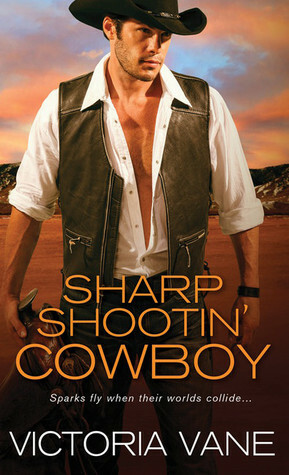 He ends up going home to his families’ ranch and becomes a guide and during one of the trips a client shots a wolf. This wolf being tagged sets off a signal but also he must report it to the authorities. When getting into town he finds out that she has been hired as the new wildlife protection overseer. Which causes for some acquired moments and as time goes on they still have feelings for each other but the wolfs are coming between them. When she pulls his license to hunt they go out to find any evidence of a wolf killing when her ex comes in and takes the photos out and turns them around to use for donations instead of the truth she must now decide if she wants the job or to find her guy to have a family if he will still have her. This story is more than just a love story it is also about ranchers and the wolf that have been put back into the wilderness, and the pros and cons of both sides. Overall I found this to be a very good book. I got this book from net galley. I give it 4 stars.